Are site-wide backlinks good or bad for your website? People are often confused by the question, and most are under the impression that the more the backlinks to a website, the better, no matter whether they are from the same, or a different domain. And judging from a crawler's point of view, it seems logical, since crawlers crawl each link on a page, and then follow the link to the linked page, and a backlink is registered for that page if it's external. But is it worth back-linking to a site more than once? More importantly, does it have any pitfalls? In a perfect world, there shouldn't be any problem with multiple backlinks. But as you know, spammers take advantage of every small opportunity they can get to get the most out of their own website through shady practices. And in this case, back-linking is the opportunity. People have started spamming, or excessive, low quality guest posting on high ranking websites. As a result, it seems unfair to those who don't spam, but don't have access to high quality websites either. So this makes the question much more important. How does Google consider site-wide backlinks? There are two ways Google looks at this problem. Algorithmically, and manually. The algorithm works in much the same way for site-wide backlinks as it does for keywords. For keywords, the relation between the number of keywords and the importance of each new keyword is asymptotic. This means that the first keyword will count a lot, the second not as much, the third, much lesser, and so on. So for those who are using keyword stuffing and inserting a ton of keywords in their posts, all those keywords lose their importance, and hence are rendered useless. 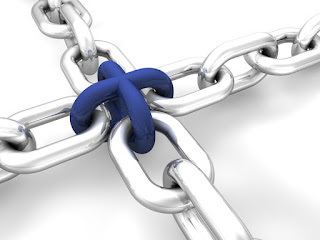 Site-wide backlinks are treated in a similar fashion. When Google finds a backlink on a website, that backlink counts the most. Each subsequent backlink to the same domain loses its value, so much so that even if there are a hundred backlinks to the same domain, only one or so will be actually considered as an 'important' backlink. In the case of manual detection, Google has a different behavior. And since it now focuses on the user-experience part, it will look at all those backlinks like any normal user would. For example, if you have a blog A, and a blog B, and blog A has site-wide links to blog B, then visitors on blog A will find it irritating to continually come across multiple links to the same domain. So chances are, this might very well go against you. If your links are natural, such as a gallery, or an archive of some sort, or maybe a blog roll or RSS where you have site-wide backlinks to another site, then you can be sure of safely passing Google's manual scrutiny. But if you are doing this for spamming purposes, then Google will discard most of your backlinks as spam. And this might even hurt your ranking.